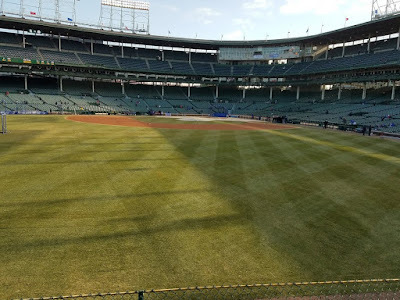 So, after being a Chicago Cubs fan for almost 30 years, I finally made the pilgrimage to the "Friendly Confines" of Wrigley Field. I first became a fan of the team way back in 1989. I was almost 9 years old, and since we moved around a lot when I was younger due to my dad's job, I never really had a "home team." I played Little League, just like any young American boy would at that age, but 1989 was when I began to consume the game as a fan. 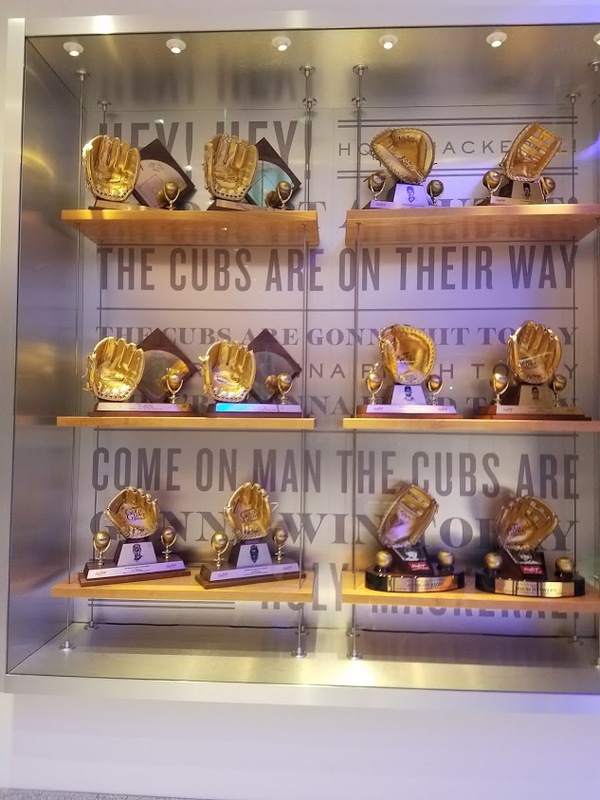 The Cubs were good that year, and more importantly, they were accessible. 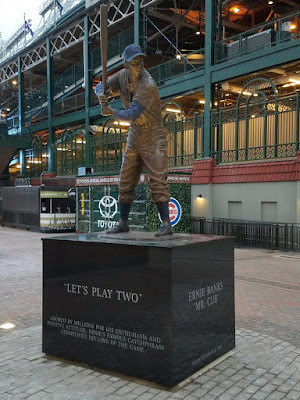 Even though I was living in Granbury, TX (Rangers Country), we had WGN, which meant that when I was home from school during the summer break, and watching TV during the day, I was watching the Cubs. Of course, I was 8 1/2 years old, and had no idea what I was getting myself into, but the Cubs quickly became my favorite team. Fast forward 29 years, I am now married (11 1/2 years and counting) with three little girls (9, 6, and 3 years old). 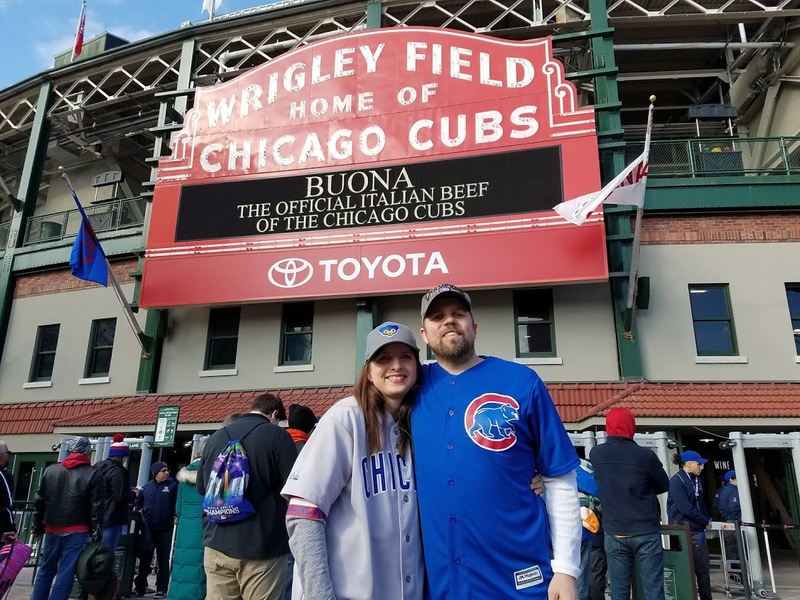 My wife, of course, knows about my love for the team, and many times during the early years of my marriage, questioned the logic of my loyalty to a team that always fell short. I always told her that one say they would win it all, and I will have gone into that victory as a loyal, long-time supporter, who never lost faith. That dream would come true for me in 2016 (and the following year, we watched her Houston Astros win the World Series, so it has been a good couple of seasons for the Pederson household). Anyway, as we began to make our vacation plans for the upcoming 2018 year, out of the blue she suggested, "We should go to Chicago." I was taken a little by surprise, as it would clearly be a trip mostly for me, with her along for the ride, but when I looked at the calendar, it seems as though the stars had aligned in my favor. My job has a Dupont Schedule, which means we work on 12-hour rotating shifts, switching between days and nights. It also ends up working out that we get a week off every 28 day rotation, and the St. Louis Cardinals were in town right in the middle of my April week off. The decision was made, and we begun making our plans. 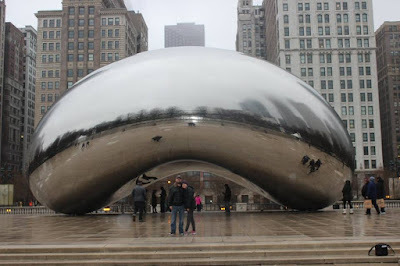 Our plan was to make a 10-hour drive from Moorhead, MN to Chicago, instead of flying, to save money. We'd drive Sunday to Madison, WI, then finish the drive Monday morning, hit up games Monday night, Tuesday night, and Wednesday afternoon (the entire Cubs/Cardinals 3-game series), then head back home Thursday. Of course, you can never predict the weather, especially when a blizzard hits Minneapolis and most of Wisconsin on your first travel day. The 6 1/2 hours it would normally take to get us to Madison became 11 hours, but luckily the weather was better the next day. We made it into Chicago, checked into our Airbnb (which was 2 1/2 blocks away from Wrigley Field! ), and got ready just in time to find out that Monday night's game would be postponed to July 21. Of course, it was a bit of a let-down, but there were still two games on the schedule, so we decided to make the most of the evening. 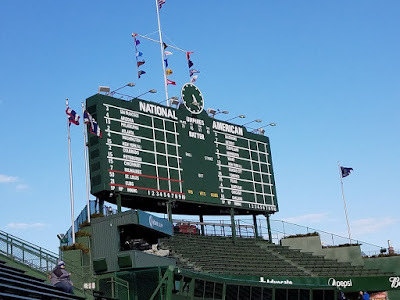 At my suggestion, we walked over to Wrigley Field anyway, just to check out the area. The first things we saw were the pennant-shaped Chicago Cubs sign on the back of the bleachers and the Harry Caray statue, and of course, we had to get a picture on the other side of the stadium in front of the iconic red Wrigley Field sign. As we walked around the stadium, I couldn't help but realize how different it is from others I have been to. There are no parking lots or open areas nearby. It is a stadium put down right in the middle of a bustling commercial area, with apartments and businesses surrounding it on all sides. 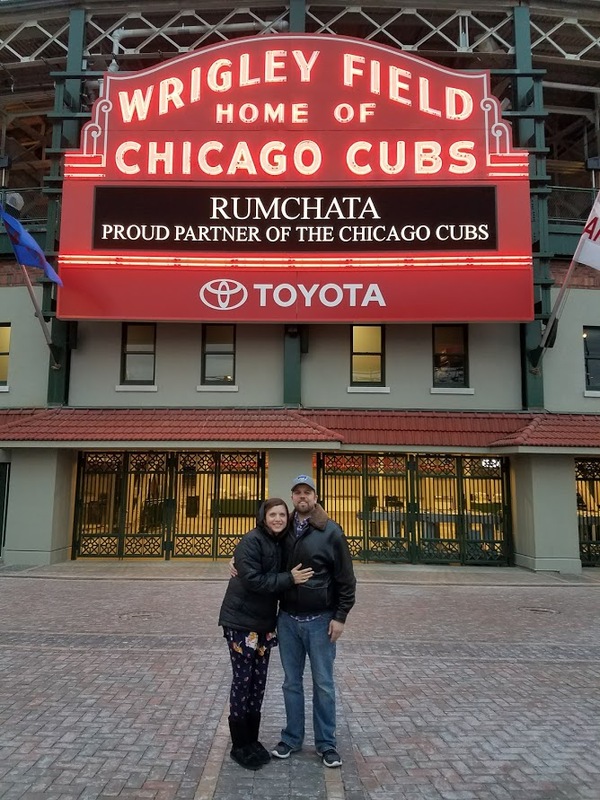 We ate dinner a block or two away at Cozy Noodles and Rice, a Cubs-themed Thai restaurant, and then headed back the way we came and stopped at Murphys Bleachers for a beer. I had to hit up Murphys at least once on our trip. 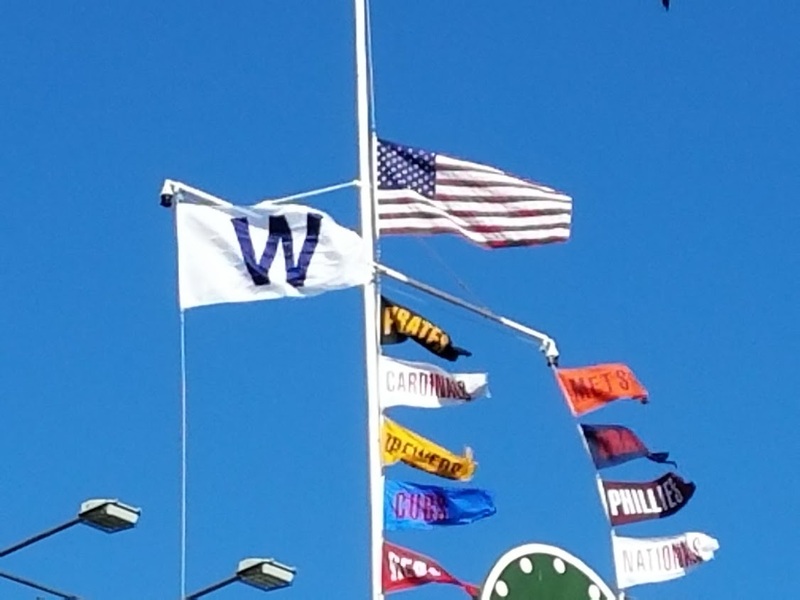 It is a bar right across the street from Wrigley, and is the go-to place for some social interaction before and after games. When they showed the reaction shots during 2016's game 7 of a Chicago Bar, that's the bar they were showing. I figured a cold, rainy off-day would be the best time to go in and have a quick beer, just to say I went there. After we were done there, we kept walking around the outside of the field. It was very cold, and had rained earlier in the say, so when we came across a building that was open, we decided to step inside for a minute. Now, the doors to this building were unlabeled, but we were able to see a few trophies through the windows. When we went inside, the receptionist asked "Can I help you?" 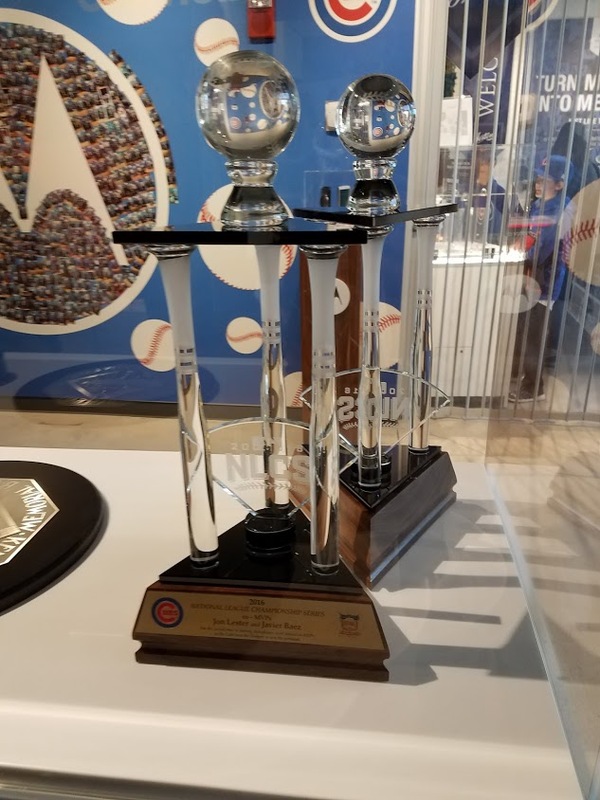 My wife said we just wanted to get warm and take a look at the trophies. The receptionist,, who was very nice about it, told us that this was a management office and wasn't open to the public, so be quick about it. It soon dawned on me, that this was THE management office, as in the one that Theo, Jed, and Tom run the team out of. 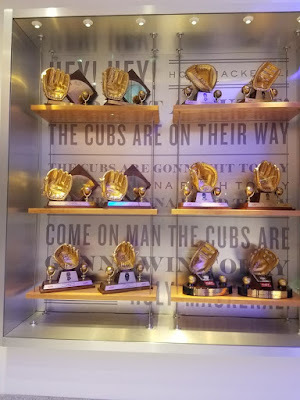 The trophies on one of the walls were Gold Glove trophies from various years, and the big one in the middle of the lobby was the 2016 National League Championship Trophy! After that, we went to a nearby bar in the are that had a free stand-up comedy show. It was what you would expect from a free show. There actually weren't any horrible acts, but nothing that had us on the floor, either. It was then time to call it a night and try for better luck the next day. Tuesday morning, I began checking my phone every 10 or 15 minutes to see if that game was being postponed, as well. It was still cold, but no rain, so it looked like we would be in luck! 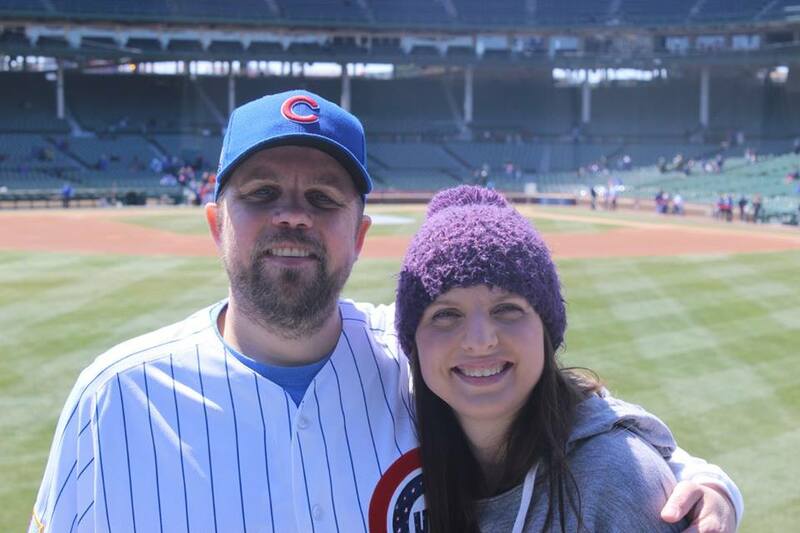 We bundled up for a cold evening game that would only get colder, and walked the 2 1/2 blocks to Wrigley Field. We didn't do much earlier in the day, because I wanted to be sure we got there extra early. This being my very first game, I wanted to be sure I had time to take it all in. Wrigley was a ghost town the night before, but on game day, the whole neighborhood was full of life. There were memorabilia vendors on every street corner and tourists (like us) taking pictures. There was red and blue as far as the eye could see, and the Wrigley Faithful were ready for a great day of baseball. Of course, we had to say hello to some "old friends," grabbing photos of the four statues of Cubs legends Ernie Banks, Harry Caray, Ron Santo, and Billy Williams, The cool thing about the statues, apart from their remarkable likenesses, is that the metal was colored in, but just on the red and blue parts. And once more, the obligatory in-front-of-the-red-sign photo, although this time, with a much livelier atmosphere. When we make it into the stadium, I head right over to the Cubs Authentic store. 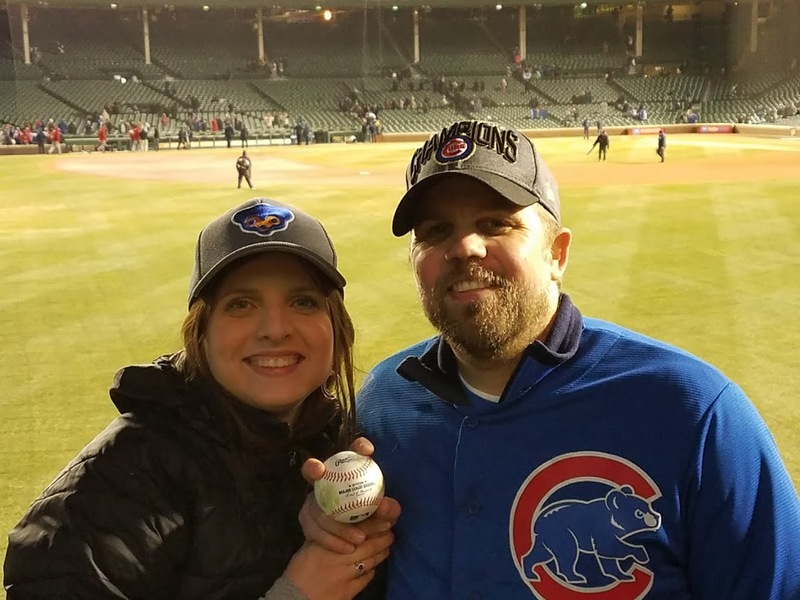 I wanted to mark this momentous occasion with a specific souvenir, and pre-order a game-used ball from my very first game at Wrigley Field. Of course, I also checked out a few other items there, which included balls from previous games, used hats, and bats, and a rack of reasonably-priced team-issued jerseys. I decided to just get the ball, and then we made our way to get "first game" item number two, a custom "My First Visit" certificate. This item would be short-lived, though as beer (not mine) ended up being spilled two rows behind us, and dribbled down to where it lay. Of course, I got us bleacher seats, and paid a pretty decent price, considering they were playing the Cardinals. I guess it helps when you are planning for an early-season April game. 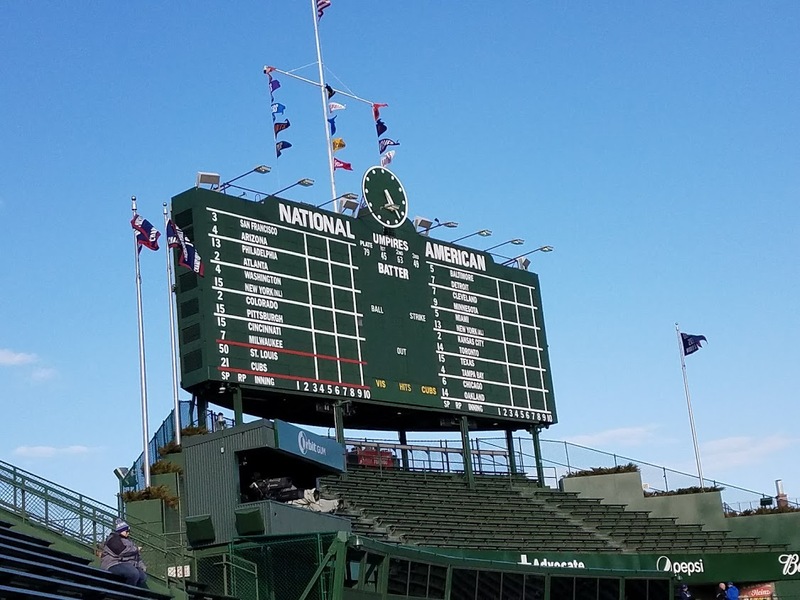 We settled in on the third row of the third section over in the left field, and got our first look at the inside of "the friendly confines." Having seen games in the somewhat recent past in Minneapolis's Target Field and Houston's Minute Maid Park, what struck me right away was the difference between those modern parks and one that has lasted for generations. The It really is an open field, with a just a few video screens to bring it into the 21st century, and of course, there's the iconic manually-operated scoreboard in centerfield, keeping fans updated on the day's scores from across the league, as well as three flag poles that signify the standings of the three National League Divisions. I was sure to get there early, wanting to catch batting practice, and maybe a BP ball or two, but unfortunately, neither team took BP right before the game. As the game time grew nearer, I did get an up-close view of Tyler Chatwood warming up with Willson Contreras. Baseball is always a great game to watch in person, and especially at such a ballpark. 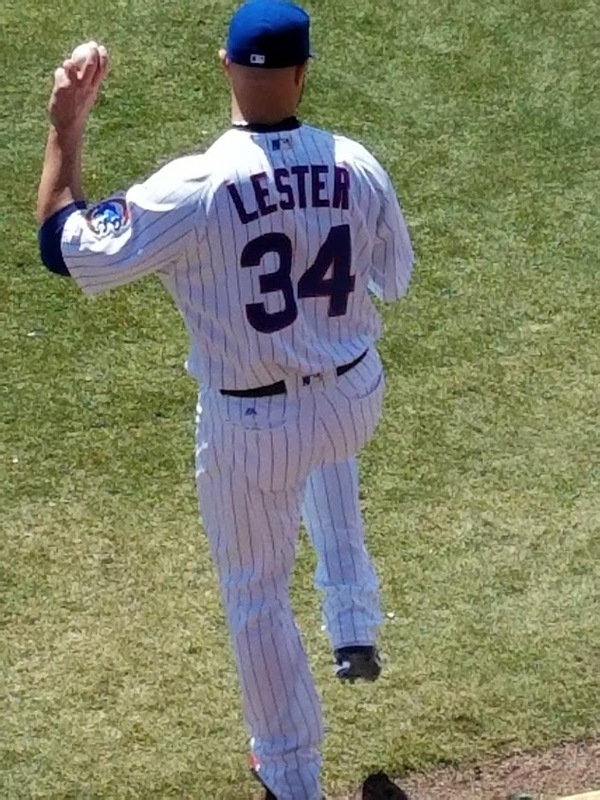 I live in Minnesota, and the Cubs haven't had any interleague games here in quite a while, so this was my first chance to see guys like Kris Bryant, Anthony Rizzo, Kyle Schwarber, and Ben Zobrist in person. 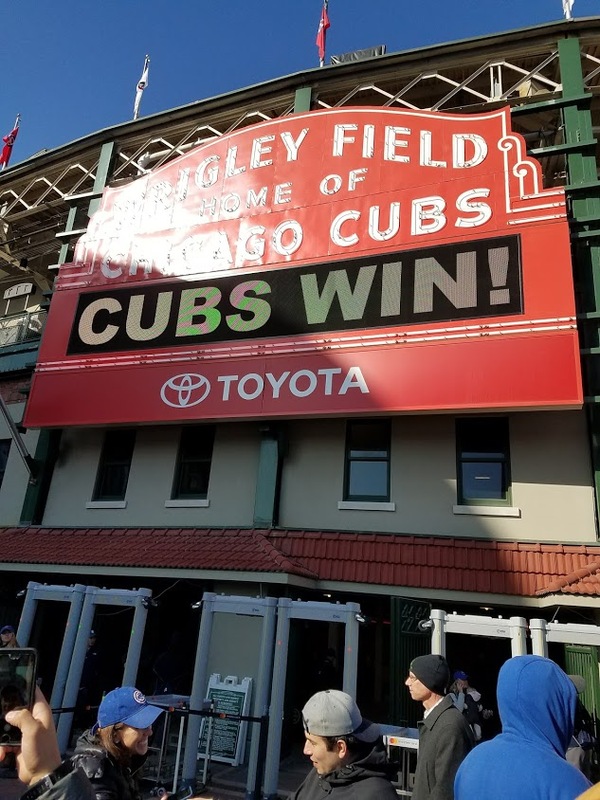 It was a close game, for the most part, until a three-run 8th inning by the Cardinals sealed the deal on a 5-3 Cubs loss. 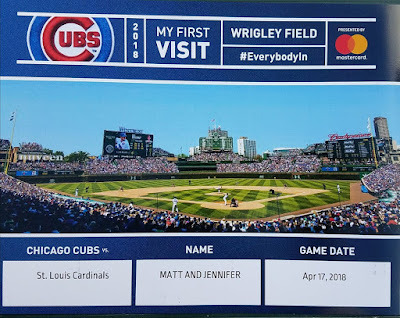 We did get to see a Javy Baez home run, thought, and my wife even got me another gift. At the end of the third inning, I left my seat to go get another beer, as well as make room in my bladder for said beer. Now, between innings, one of the coaches would come out from the bullpen area and throw the ball around with Schwarber, who was playing left field. As the inning would begin, they would throw the ball into the stands. 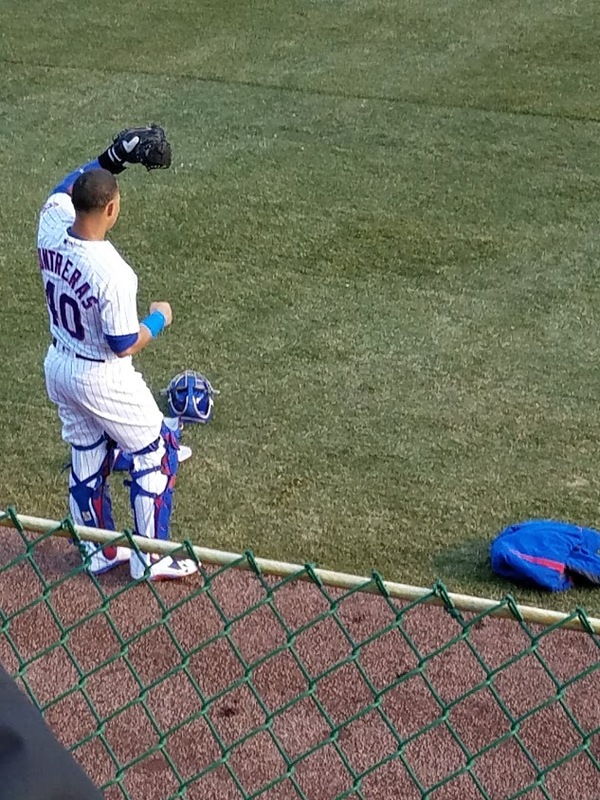 Someone very close to where we were sitting caught it, and my wife, who is way bolder then I could ever be, asked the guy if she could have it for her husband who is a huge Cubs fan. The guy actually gave it to her, as just catching one was enough of a thrill for him, and needless to say, I got quite the surprise when I returned to my seat with my Bud Light. This, along with the gamer that I preordered before the game, made two baseballs I would be going home with. This one may not have technically been used in in-game action, but it was "handled" by Kyle Schwarber. 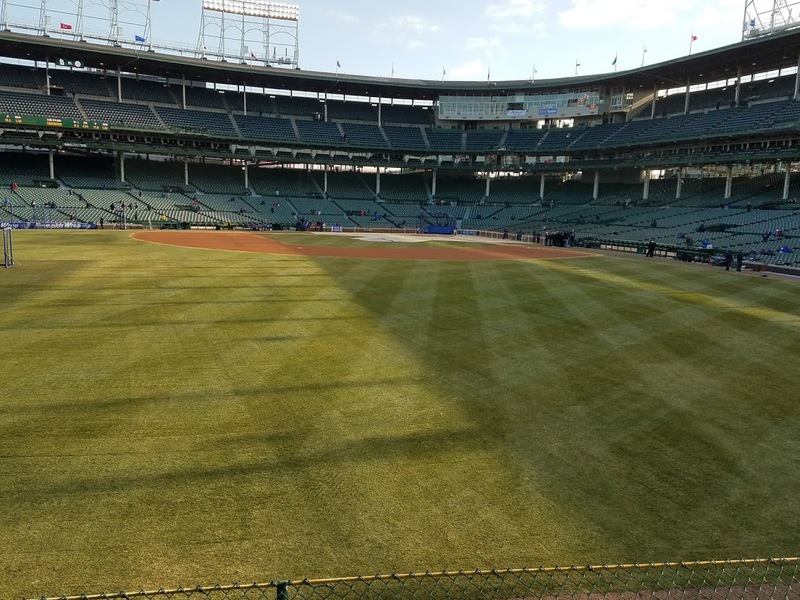 Needless to say, it was a great experience for my first game at Wrigley Field, and after barely escaping hypothermia, it was time to head back to our place and get ready for one more game the next day. Weather would strike once again, as the second game out of three would be cancelled due to weather. The cold temperature, combined with a heavy morning rain, made it a not-so-great day for baseball. It could have been a major bummer, but fortunately for us, the game was rescheduled for the very next day at noon. 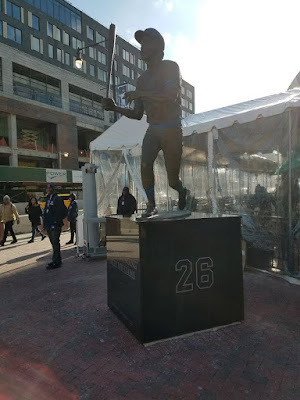 Now, we were planning on Thursday morning to head back home, but we decided that the best thing for us to was to check out of our place in the morning, pack up our car, and head to the game, leaving for home just a little bit later than we originally planned. 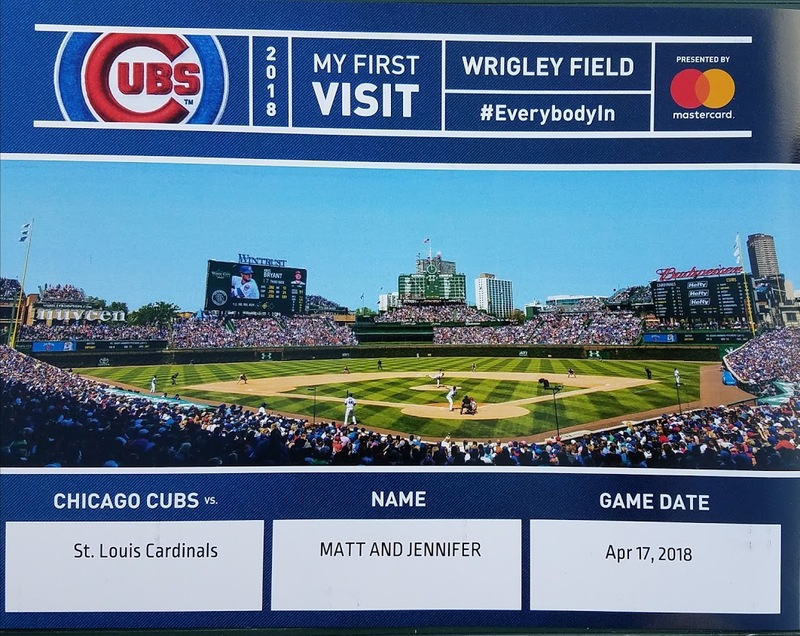 I would get another game at Wrigley Field, but more importantly, I would get a day game. As we did Monday, we decided to make the most of our change of plans. After researching different attractions around the city, as well as which would be most accessible, we decided to head to the Shedd Aquarium. Since this was basically a trip for me and my lifelong dream of seeing Wrigley Field, our "off day" was given to her. She loves taking our girls to the zoos we have up here, so when the opportunity came to see a different type of wildlife, it wasn't a tough decision to make. The aquarium itself is really interesting. Like most, you have a lot of the smaller fish tanks, with aquatic wildlife from all over the world. We also saw penguins, otters, rays and dolphins. 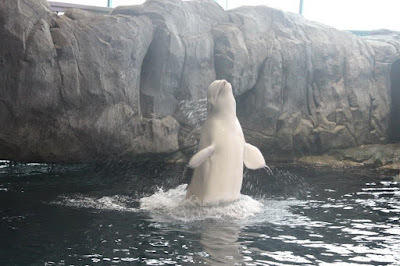 The big draw for this aquarium, though, are the beluga whales. We were lucky enough to catch them at feeding time, where the five whales each go to their specific trainer, who they can identify based on a placard attached to their feeding bucket, and the trainers got them to even do a few tricks! 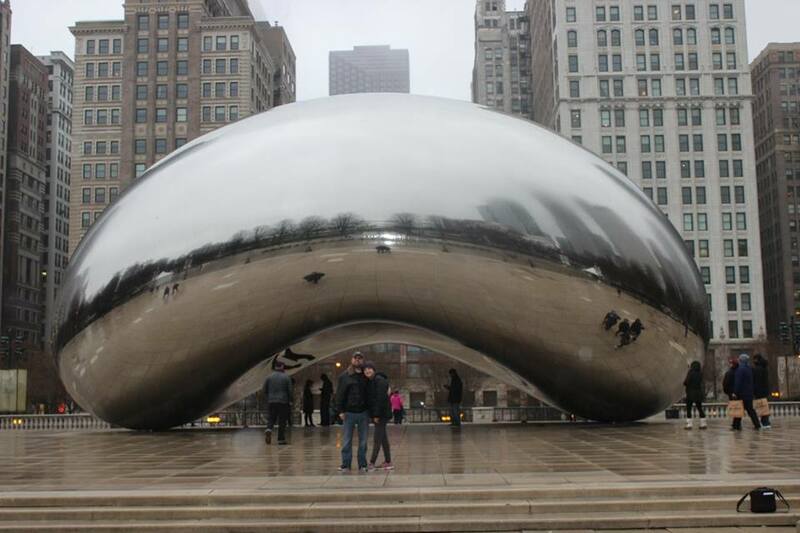 We closed out the aquarium and before having dinner at Giordano's, and I made sure we got a picture with the Cloud Gate sculpture. Thursday would be a new day in more ways than one, as the rain stopped, the clouds opened up, and the sun came out. Wrigleyville was buzzing, and it was a great day for baseball! After checking out of our Airbnb and loading up our car, we headed back to the ballpark for a Wrigley Field day game! Wrigley didn't have lights until, I think, 1988 and still keep the day game tradition going and it is still a big draw for the team. The weather was still cool, but with the sun out and softer wind, it was perfect. 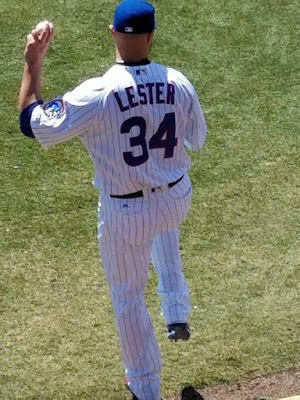 We sat in pretty much the same spot as before, and got an up-close look at Jon Lester warming up for his start. The game itself was great. 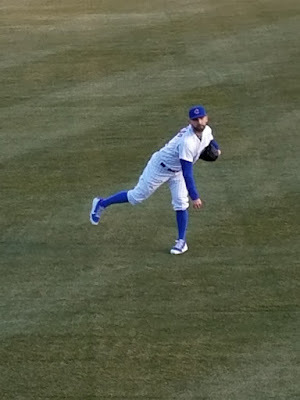 The floodgates really opened from the Cubs' bats, as a Jason Heyward home run and several well-placed hits with runners on, put the Cubs up to a 8-1 lead by the end of the fifth inning. St. Louis tried to rally, scoring four more in the seventh, but it wasn't enough, as the Cubs came away with a 8-5 win. 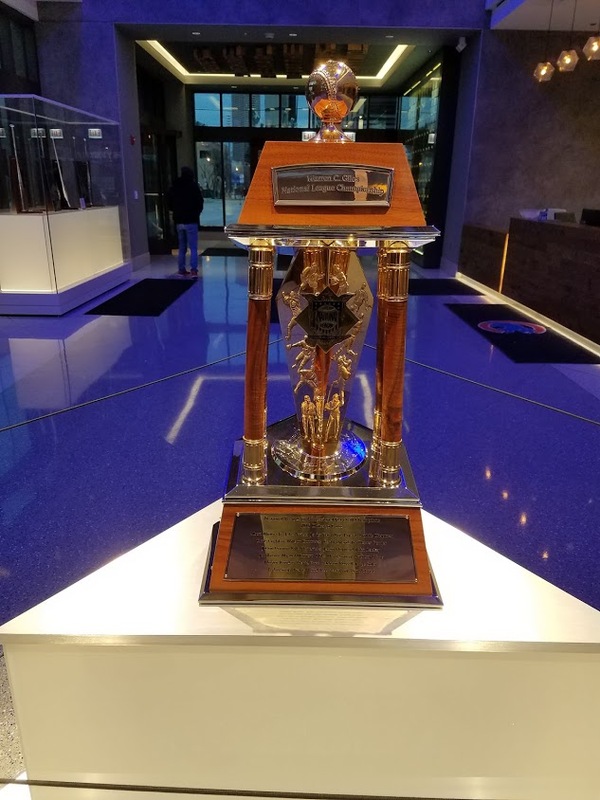 Time was running short on us, as we had a long drive ahead, but there was one more stop I had to make: the Motorola Trophy Room. It is located near the park right outside Wrigley, where they have a two-story team shop and a few other businesses. 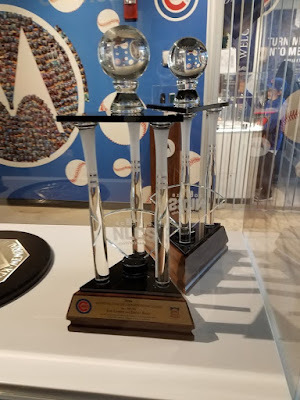 It houses a few really cool pieces of Cubs history, like John Lester and Javy Baez's 2016 NLCS co-MVP trophies and the 1984 NL MVP award of my favorite Cub growing up, Ryne Sandberg. 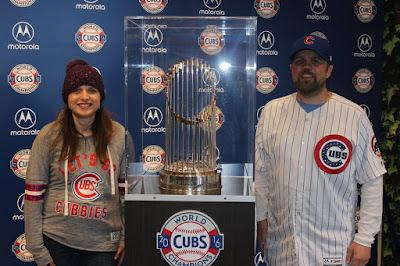 Of course, everyone who was there, was there to see the big one: the 2016 World Series Trophy. When you think of the history of the trophy, and the team who won it, it truly is a landmark to a team and a fanbase, that never gave up. Sadly, the trip came to an end, and it was time to return to normal life. 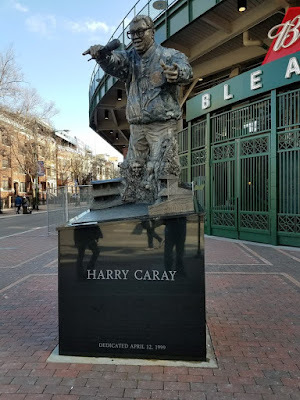 The experience, and Wrigley Field itself, was everything I hoped it could be. It took me 37 years to make it there, but it definitely won't take 37 for me to return. 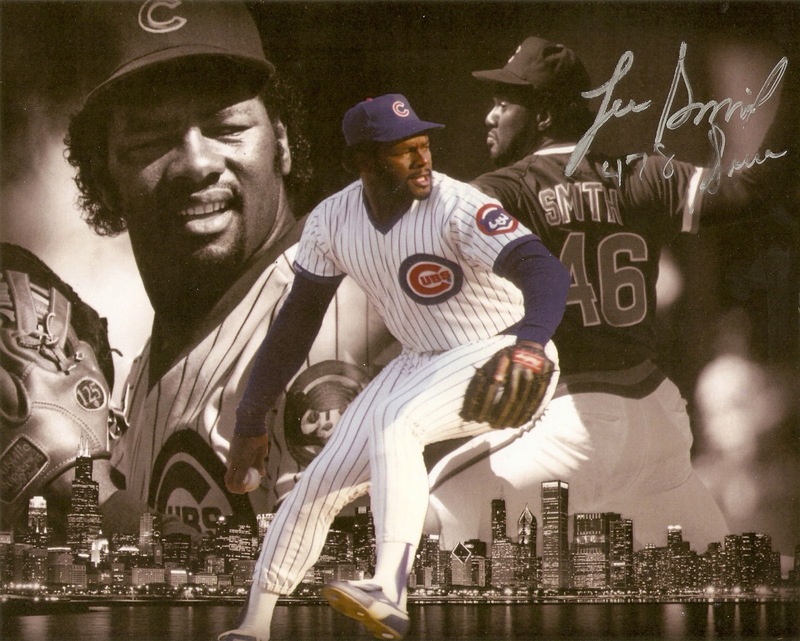 A little belated, but congratulations to former Chicago Cubs pitcher Lee Smith, who was elected to the Baseball Hall of Fame this past weekend by the Today's Game Era Committee. 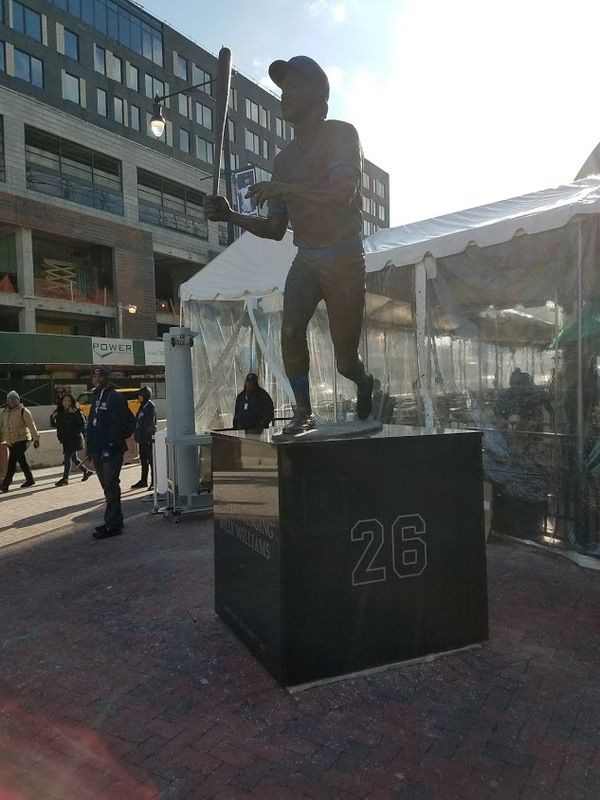 He played for 18 seasons with 8 teams, and was one of the first pitchers to master the role of closer, as it transitioned from just another reliever to a one-inning specialist. 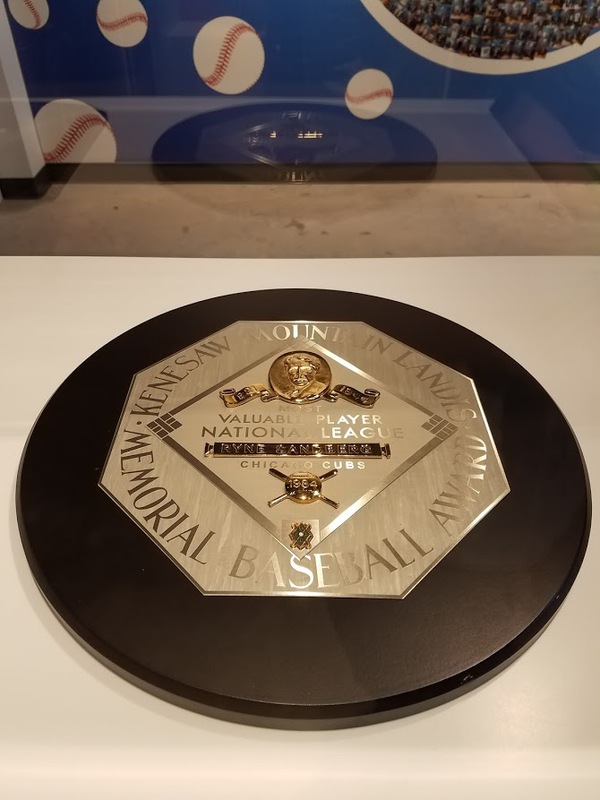 He held the career saves record of 478 until 2006, when it was broken by Trevor Hoffman (inducted in 2018) and later, Mariano Rivera (likely to be elected by the BBWA in 2019). 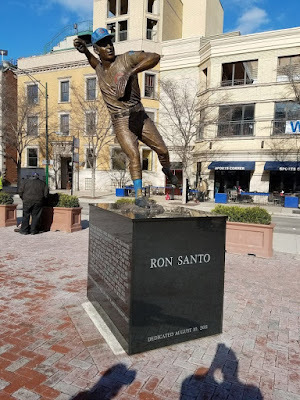 I had the pleasure of meeting him a couple of times during Cubs Spring Traning games in Mesa, AZ, where he was signing autographs to benefit the Fergie Jenkins Foundation. He truly is one of the nicest, friendliest guys you could meet. He loved talking about his career and the game of baseball with whoever stopped by, and always had a smile on his face.